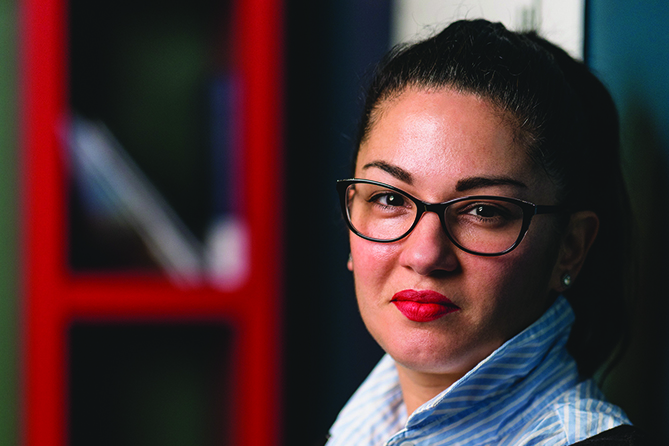 Having a diverse workforce – combining different nationalities, gender, religious backgrounds and more – is a business strategy for Giadha Aguirre de Carcer, the founder and CEO of New Frontier Data. A wide mix of backgrounds and language skills – from Africa, Asia, Latin America and elsewhere – allows the marijuana data-analytics company to better understand the inner workings of global cannabis markets, according to de Carcer. That includes the mindset of cannabis users here and abroad, potentially giving the Washington DC firm a leg up on rivals. Thanks to their diverse backgrounds, de Carcer noted, employees are better positioned to grasp how religion, politics and other factors can influence MJ demand – especially in overseas markets such as Latin America, where New Frontier Data plans to expand its market-analysis activities. Since 2014, New Frontier Data has added roughly two dozen employees to its original four. New Frontier Data also opened a second office in Denver in March 2017. The company expects to have nearly 50 employees by the end of 2018. Only two of the five members of the New Frontier Data leadership team who are featured on the company’s website are white men. Of the current staff of nearly 30, de Carcer said, the vast majority are from a minority background – be it gender, ethnicity or sexual orientation. The company’s employees hail from Kenya, Italy, Korea, Lebanon, Iran, China, Latin America, Asia, Africa and the Caribbean – in addition to the United States. Different nationalities aren’t the only factor that make New Frontier Data employees a diverse group. Their political affiliations, religious backgrounds, sexual orientation and work experiences also run the gamut, representing Republicans, Democrats, Libertarians, Catholics, Muslims, Buddhists, atheists, gays, lesbians, veterans, etc. Also, their ages span from early 20s to early 60s. In fact, workforce diversity has helped the company’s own business endeavors and areas of focus. A few years ago, New Frontier Data began exploring the possibility of analyzing the hemp industry, and one of the company’s interns was from China. “This little intern popped up and said, ‘China is the largest producer and exporter of hemp today,’” de Carcer recalled. The intern was soon dispatched on a research project. Using his language skills and knowledge of the country, the young man – who is now a full-time New Frontier Data employee – researched the ins and outs of the Chinese hemp market. He combed through documents written in Chinese, for example, giving New Frontier Data a better understanding of the country’s hemp market. Since then, the company has gone all-in with hemp. 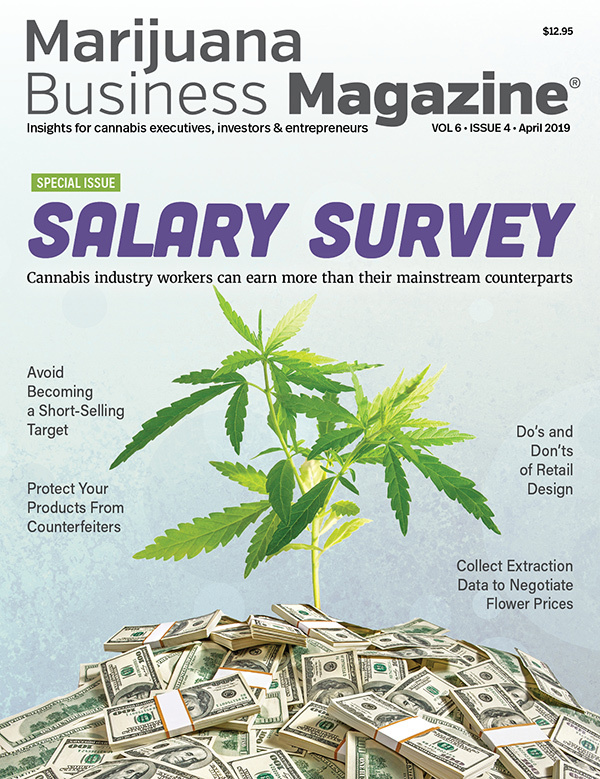 In February, New Frontier Data bought Hemp Business Journal for an undisclosed sum. The company’s foray into hemp is no doubt aimed at boosting New Frontier Data’s bottom line at a time of increasing competition among providers of data analytics in the cannabis industry. When the Hemp Journal deal was announced, de Carcer said in a statement that adding hemp analysis to the company’s portfolio would offer new business opportunities – not just for analysis of the plant itself, but for its industrial uses, from bioplastics to personal-care products. New Frontier Data also is turning to its internationally diverse workforce to better understand the social and political factors that can influence marijuana use. The information can potentially benefit the company’s clients angling to do business in international markets. New Frontier Data recently hired a contractor who speaks fluent Spanish to serve as its Latin American specialist. The man was born in Italy and raised in Spain. He has traveled throughout Latin America for the past 15 years, de Carcer said. As an example, she pointed to Mexico and Colombia. “The way you should approach business in Mexico is different from how you’d do so in Colombia. Religion is a main driver (in Mexico) and could have an impact. It’s a very strong variable,” she said. The proliferation of Catholicism, for example, may influence Mexican consumers to be less eager users of cannabis. In Colombia’s case, de Carcer pointed to the country’s history of powerful drug cartels, a factor that could influence Colombians’ attitude toward marijuana today. “Cartels and concerns about safety could trump religion and may be a main driver,” de Carcer said.